The Gnome is an Amazon Associate, which means that on certain articles we earn fees when the reader makes a purchase after clicking the link for a product or service. This compensation is taken from Amazon.com and affiliated sites, nothing from you, the reader. These affiliate links do not impact Green Home Gnome’s opinions, editorial selection or writing in any way. Products/services are written about objectively to provide maximum benefit to the reader. The affiliate links are just a way of receiving income from something that we were already writing about. Green Home Gnome occasionally publishes sponsored posts. If an article is sponsored you will see a sponsored post banner at the top of the article indicating so. These posts contain affiliate or brand partner links to the sponsor’s site. The Gnome gets compensated for these articles. The Gnome’s greatest passion is the environment so he loves writing about green homes and green living. 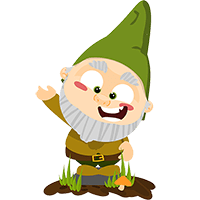 That is the driving force behind Green Home Gnome, but he needs some ways to generate income to cover the costs of running the website, such as server costs, writing, editing fees, etc.